Lycabetus. 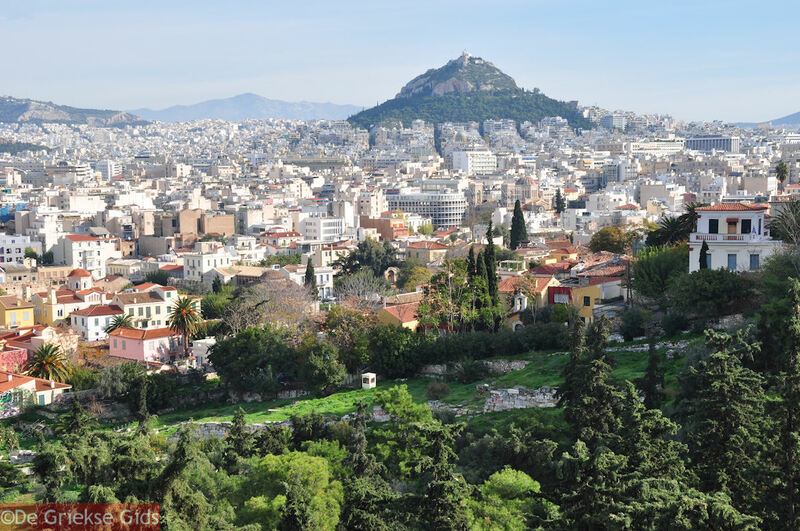 Lycabetus is one of the hills in Athens, northeast of the Acropolis. Lycabetus is 277 meters (909 feet) high and represents the southernmost part of the mountain range Tourkovounia. Lycabetus is a wooded hill with pine trees. 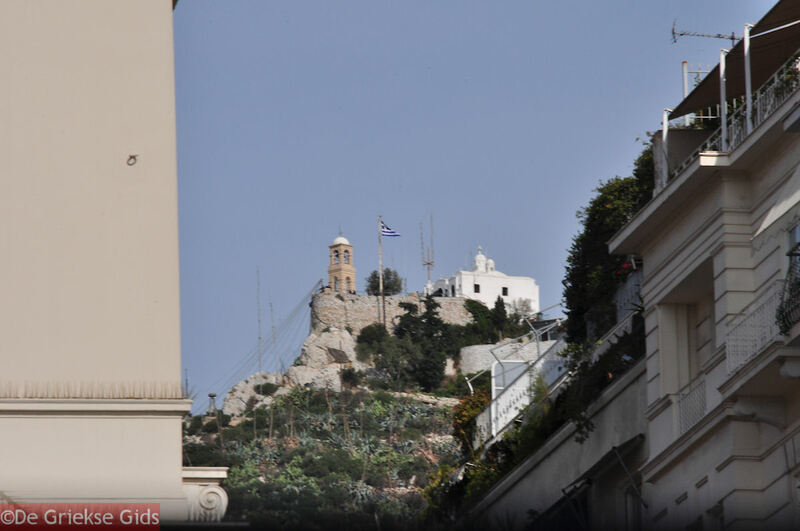 On top of this hill is the church of Agios Georgios. 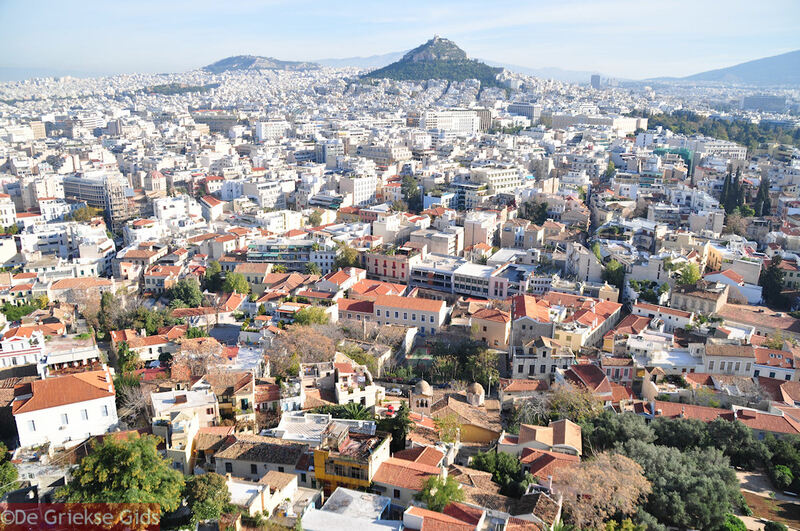 A little beyond you can find the theater of Lycabetus where performances are given during summer. There is a Cafe-Restaurant and a cable car which transports people up the hill. Hiking to the top of Lycabetus is also possible through various pathways. 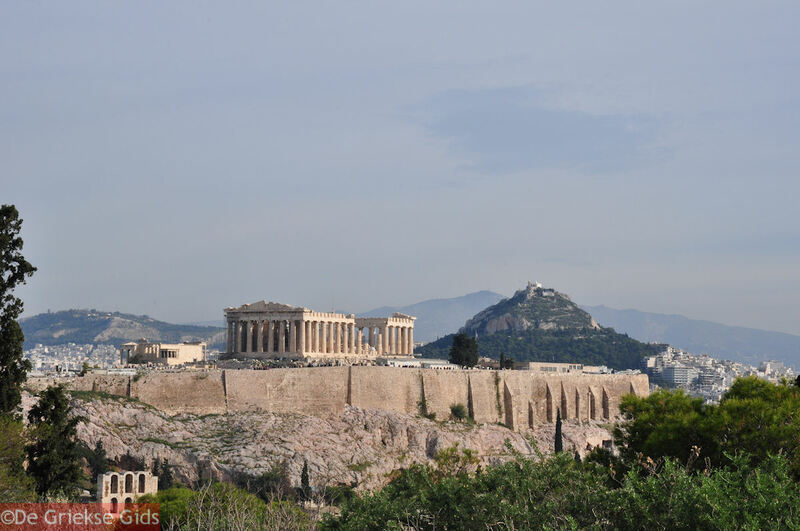 According to the legend, Goddess Athena wanted to have her temple closer to heaven, so she went to Pendeli and she brought a large rock to place it on top of the Acropolis. On the way she was approached by two black birds who brought her bad news. 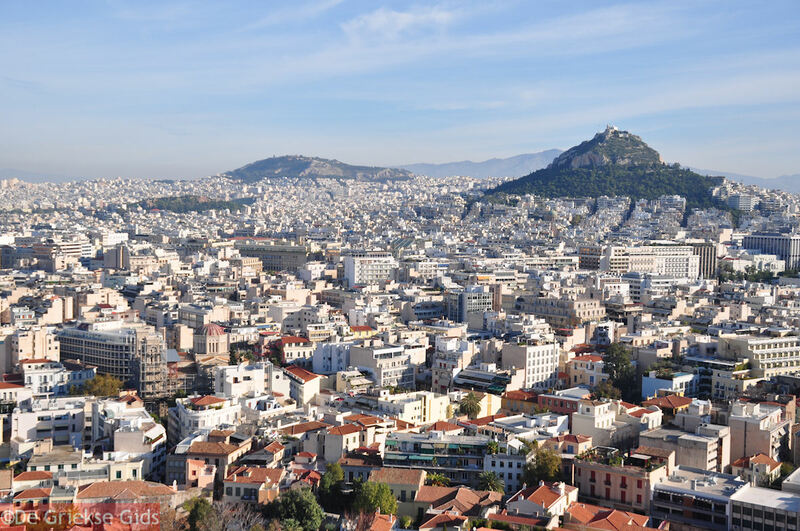 From anger and in her haste she threw the rock down in the middle of Athens. Since then that rock (Lycabetus) remained on that spot. 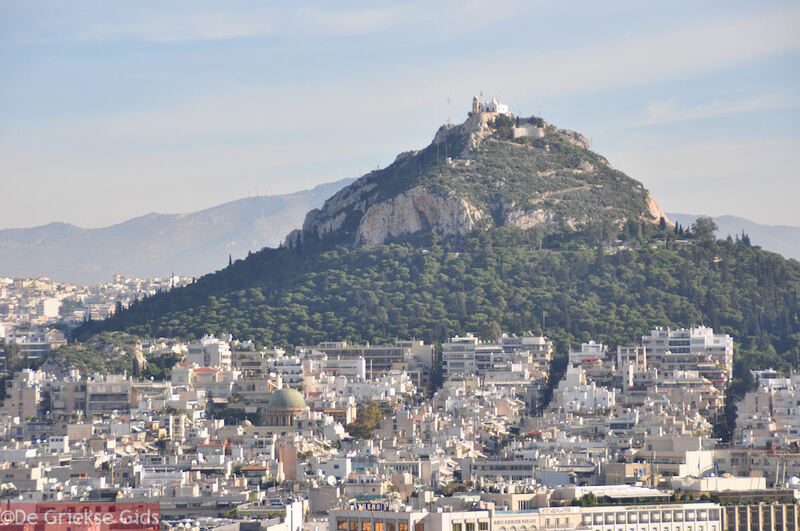 Two churches are located on the Lycabetus, one at the foot of the mountain in a cave, the little church of Agios Isidoros. At the top of the hill you will find the picturesque chapel of Agios Georgios (1780). Finally, also located on the mountain are a restaurant, a pastry shop and an outdoor theater, where various cultural events take place during summer. 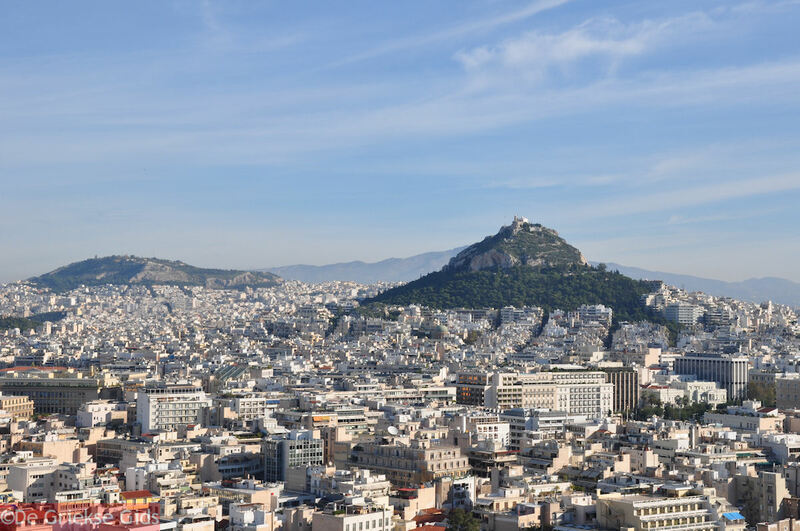 Don’t miss the view of the Acropolis and of the entire city extending to the sea. You will also enjoy walking along narrow paths all the way to the top of the hill. An open-air theater built from 1964-1965 by the architect T. Zenetos at the site of an old mine following the recommendation of the Greek actress A. Synodinou, for performances of ancient drama. It has a capacity of 3,000. In summer cultural events are staged here, attracting music and theater fans. 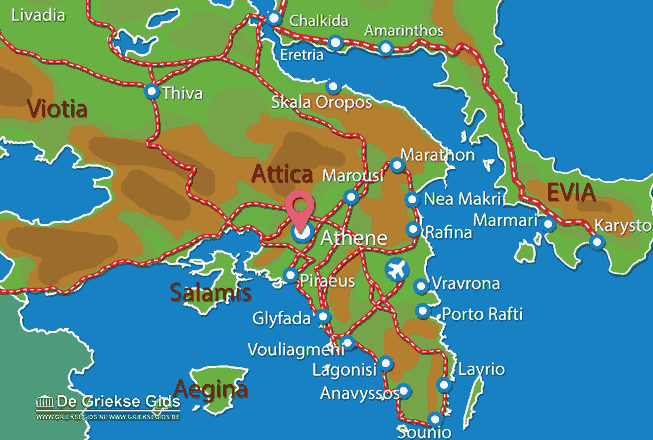 Attica: Where on the map is Lycabetus Athens located?